Community resource for monitoring the treatment of prisoners in South Carolina. Documenting Human Rights Abuses for those imprisoned. Prisoners speaking up for Humanity. Thank you for visiting us here and there! Through a request under South Carolina’s Freedom of Information Act, EFF found that, over the last three years, prison officials have brought more than 400 hundred disciplinary cases for “social networking”—almost always for using Facebook. The offenses come with heavy penalties, such as years in solitary confinement and deprivation of virtually all privileges, including visitation and telephone access. In 16 cases, inmates were sentenced to more than a decade in what’s called disciplinary detention, with at least one inmate receiving more than 37 years in isolation. 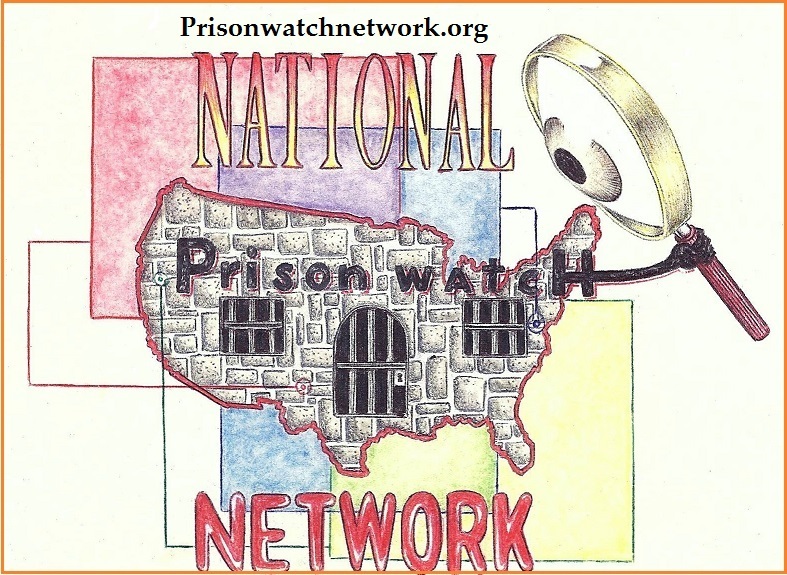 This blog is part of the Prison Watch Network of blogs. We have moved - Dear Visitor, WE have moved this blog to our main Prison Watch Network site. You can visit us by clicking here. Thank you. We have moved - Dear Visitor, We have moved our blog to the main Prison Watch Network site. You can view it here. Thank you. We have moved - Dear Visitor, We have moved our blog to the main site of the Prison Watch Network. You can find us here. Thank you. We have moved - Dear Visitor, We have moved this blog's contents to our main Prison Watch Network site. You can find them here. Thank you. We have moved - Dear Visitor, We have moved this blog to our main Prison Watch Network site. You can find it here. Thank you. We have moved - Dear Visitor, We have moved the posts of this blog to our main Prison Watch Network site. You can find them here. Thank you. We have moved - Dear Visitor, We have moved this site's post(s) to our main Prison Watch Network site. You can find Nebraska's posts here. Thank you. We have moved - Dear Visitor, We have moved the posts of this blog to our main site of Prison Watch Network. You can find them here. Thank you. We have moved - Dear Visitor, We have moved this blog to our main Prison Watch Network site. You can find the posts by clicking here, thank you. We have moved - Dear Visitor, We have moved this blog to the main site of Prison Watch Network. You can view the posts by clicking here. Thank you. We have moved - Dear Visitor, We have moved this blog to our main Prison Watch Network site. You can visit the posts by clicking here. Thank you. We have moved - Dear Visitor, We have moved our blog to the main Prison Watch Network site. You can visit the posts by clicking here. Thank you. We have moved - Dear Visitor, We have moved our blog to the min Prison Watch Network site. You can find the posts by clicking here. Thank you. We have moved - Dear Visitor, We have moved this blog to our main Prison Watch Network. You can find our posts by clicking on this link. Thank you. We have moved - Dear Visitor, We have moved our blog to the main Prison Watch Network site. You can visit Maryland posts by clicking here. Thank you. We have moved - Dear Visitor, We have moved this blog to our main Prison Watch Network site. You can visit VA Prison Watch by clicking here. Thank you.